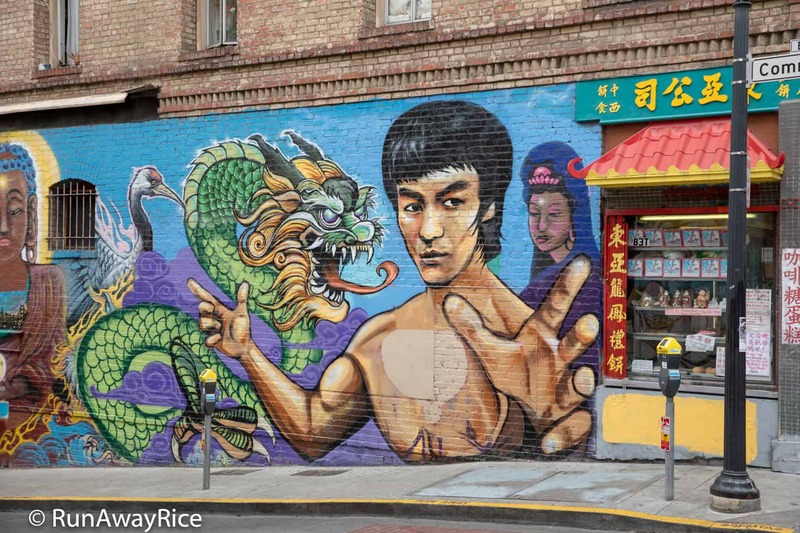 Chinatown, San Francisco is an iconic cultural destination in northern California. Known as the oldest Chinatown in America and one of the largest outside Asia, it’s an eclectic neighborhood filled with tourist hot spots, food markets, restaurant and eateries, specialty shops, cultural destinations and more. A visit to this charming district in San Francisco, California is a must if you’re travelling to this part of the state. On a recent day trip, I was able to take in a little bit of everything: sightseeing, shopping and sampling the local fare. 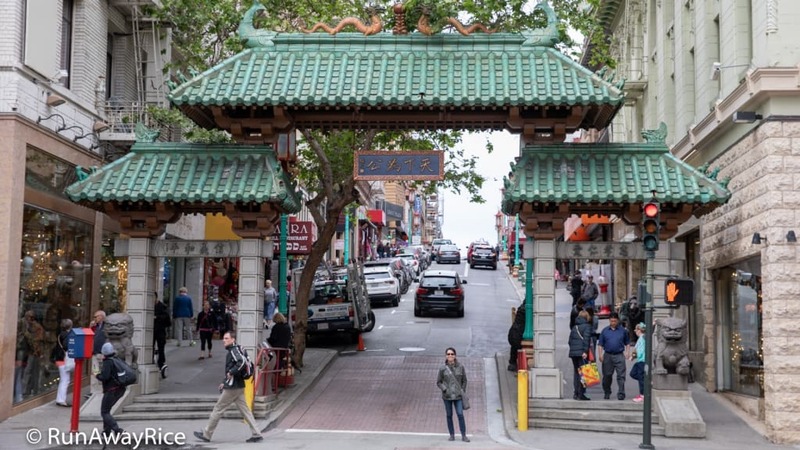 Chinatown, San Francisco has two main streets: Grant Avenue and Stockton Street. There are many more blocks and side streets making up an area about 1.34 square miles. I started from Fisherman’s Wharf and easily walked the 1 1/2 miles to Chinatown, about a 30 minute stroll. Strolling down Stockton Street, I found a plethora of grocery stores, produce markets and bakeries. 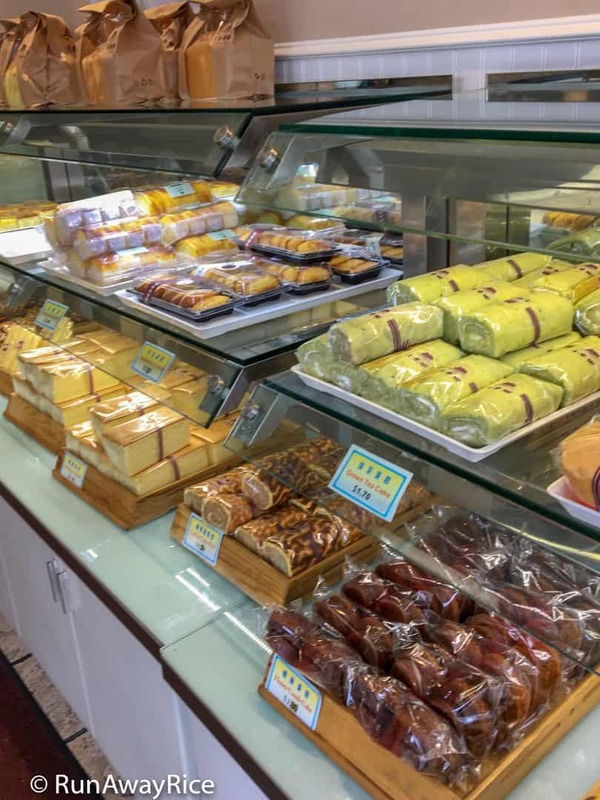 A stop to any of the dozens of Chinese bakeries is a must. 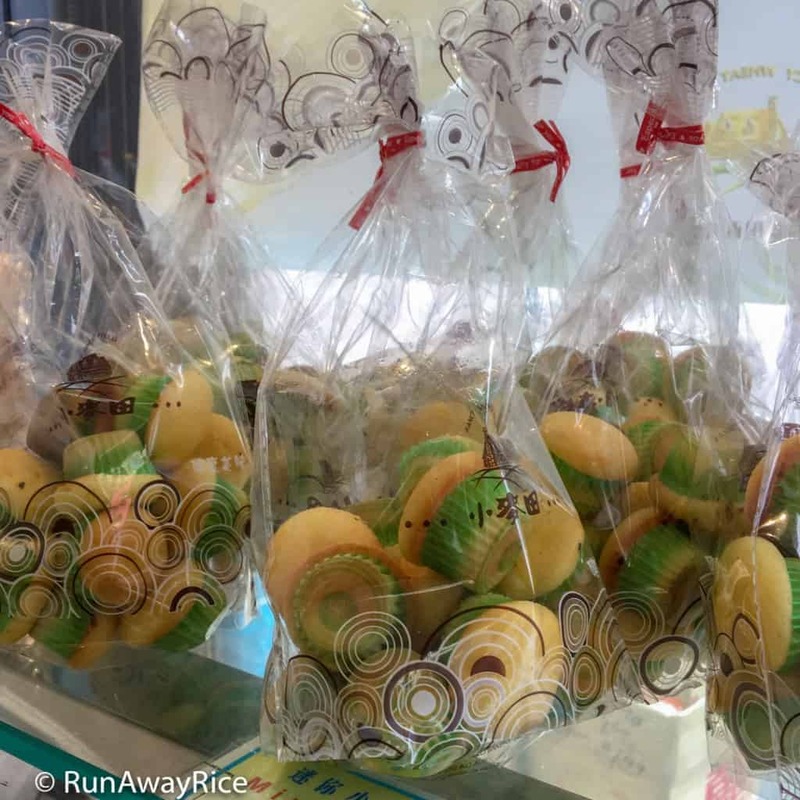 I purchased some mini cakes and snacked on them as I continued my tour. 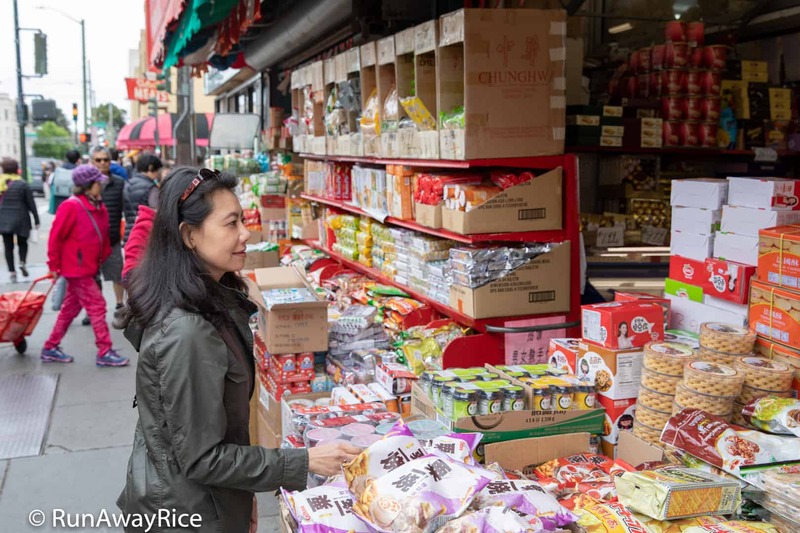 Stores like Sun Kau Shing Company, Inc. were crowded with locals on daily shopping runs. 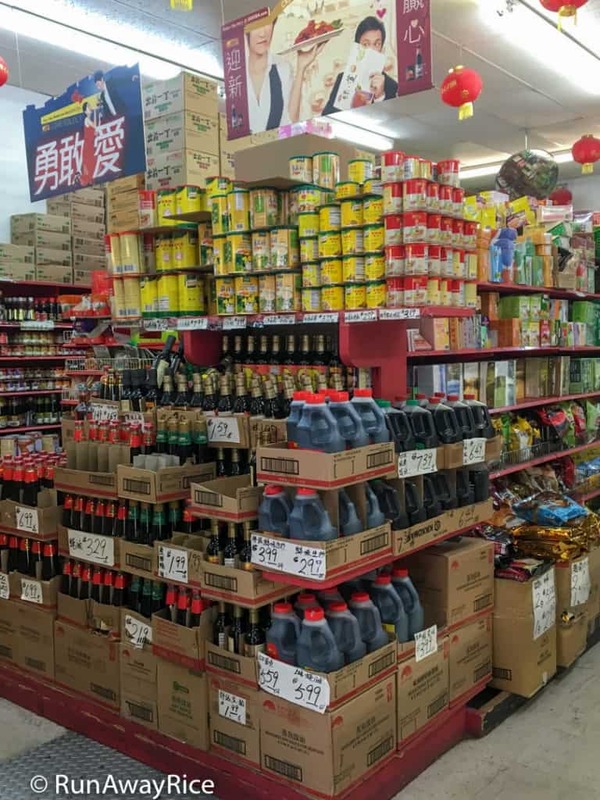 The store is small compared to the super grocery stores in southern California but packed floor to ceiling with abundant products. 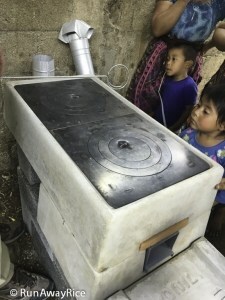 They offered a really nice variety of both Chinese and Vietnamese products. All this walking around definitely worked up my appetite. I stopped in at the Mee Mee Bakery (on Stockton Street) for a barbecue pork bun. 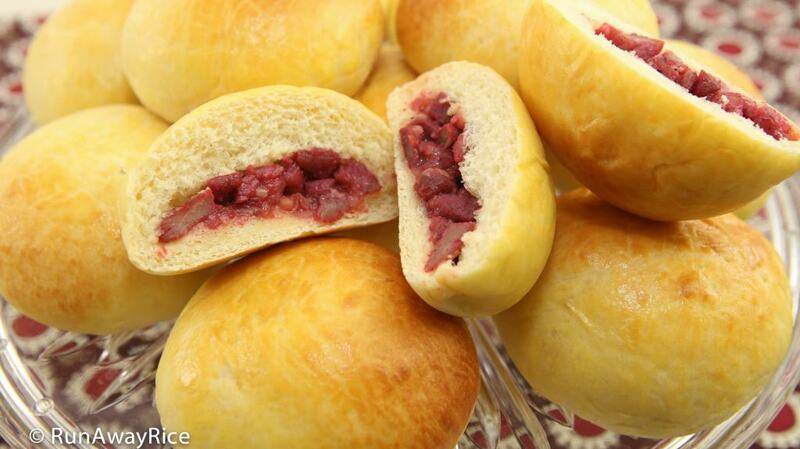 They have barbecue pork buns ready in warming ovens so you’re guaranteed a delicious warm bun. Sorry, I didn’t get a picture of this one. It was gone so fast. If you like these buns and don’t have a bakery near you, check out this Baked Pork Buns (Banh Bao Nuong) recipe I shared earlier. The produce markets were the same, brimming with fresh fruits and vegetables in boxes that appear to have just been unloaded from trucks and plopped on the sidewalks. You won’t find artfully displayed fruit pyramids or neatly organized bundles of produce here. It’s much more casual and similar to a farmer’s market. Shoppers eagerly pick through paper boxes and plastic bins to select their fresh produce. Everything looked amazing and the fruits and vegetables were some of the freshest I’ve seen. 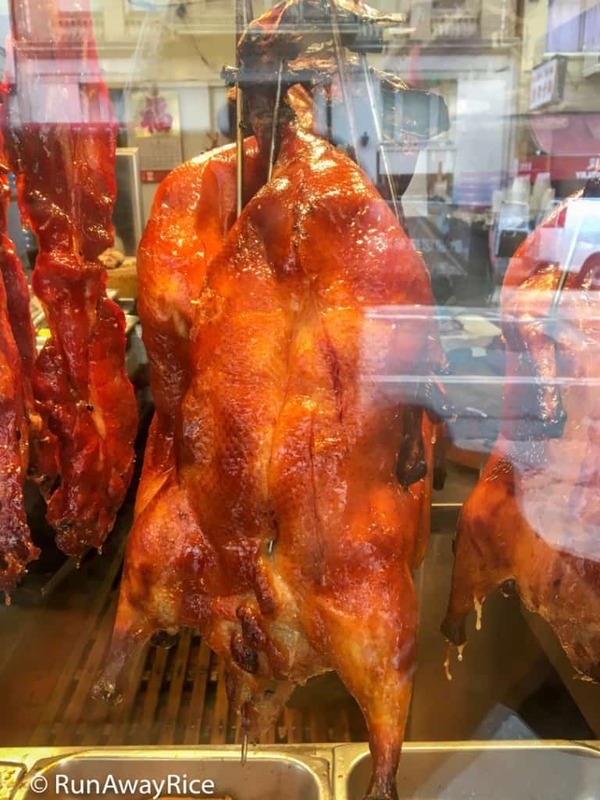 A trip to Chinatown is not complete without checking out the quintessential Chinese fare, the assorted roast fowl and pork. 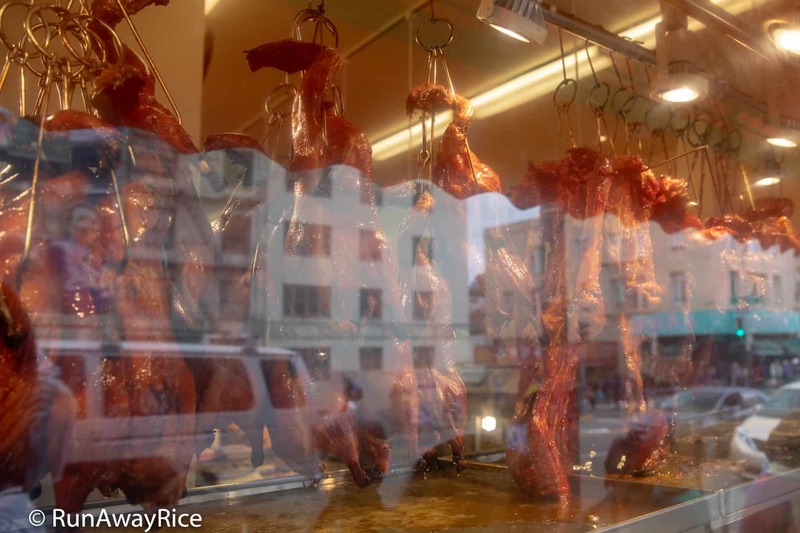 Meat shops display plump whole roast ducks, barbecue pork and other meats strung up in the store front. The sights and aromas are so enticing and absolutely mouth-watering. You don’t have to buy a whole duck or a side of pork. Stop in any of the markets and buy a small portion for sampling. It’s all really delish! Does that roast duck look enticing? 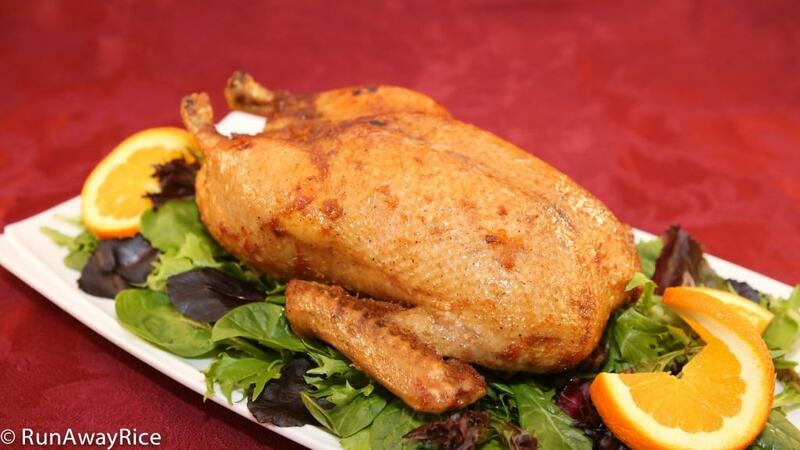 If you’d like to try to make this juicy duck at home, check out this Roast Duck (Vit Quay) recipe. 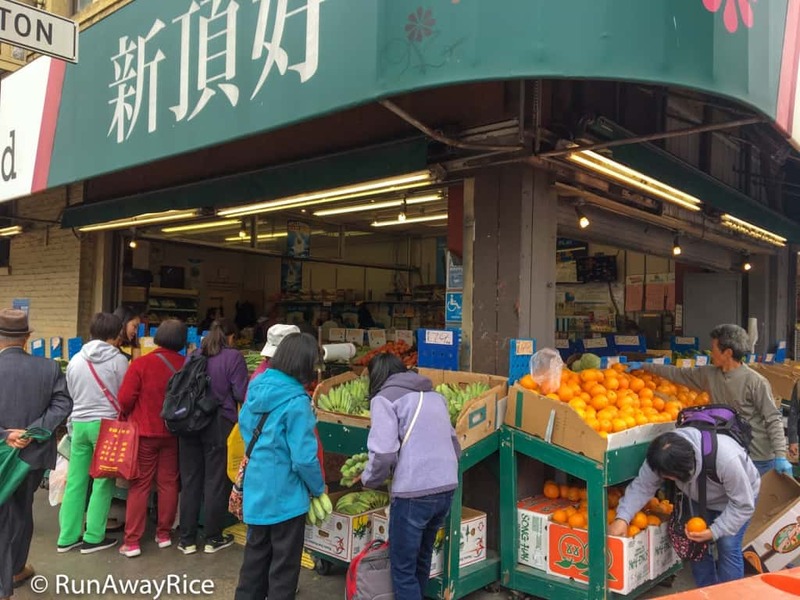 Herbal apothecaries and homeopathic stores are ubiquitous in Chinatown, San Francisco. 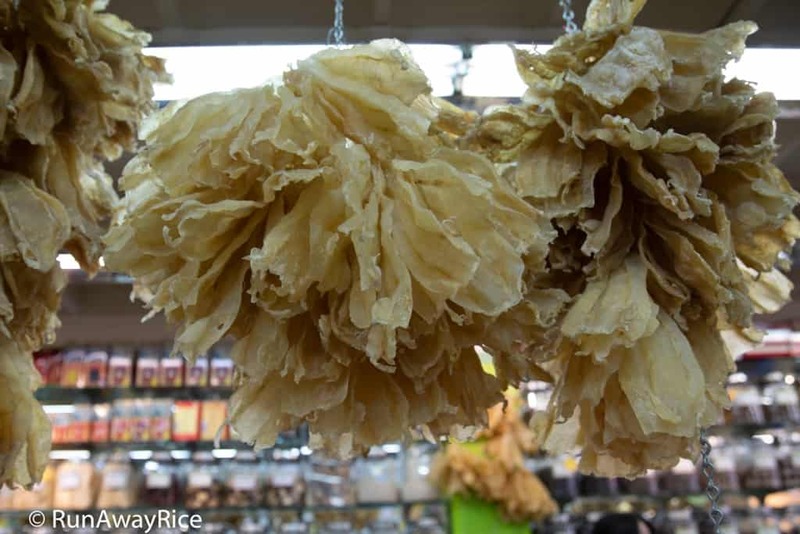 These eye-catching stores sell vast arrays of dried herbs, flowers, plants and sea animals. 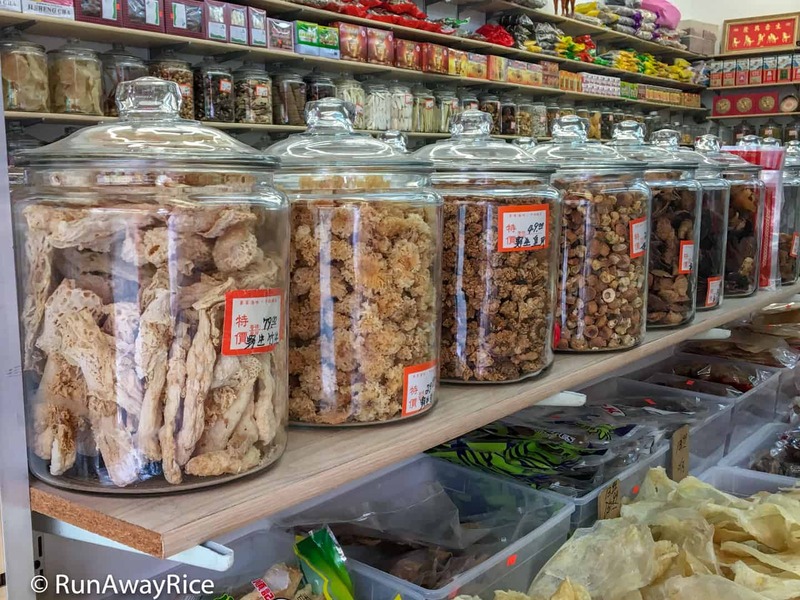 I am always fascinated by the different items displayed in the large glass jars. I am not sure what many of them are nor understand the touted health benefits. I would love to walk through one of those shops with an herbalist to learn about the various offerings. 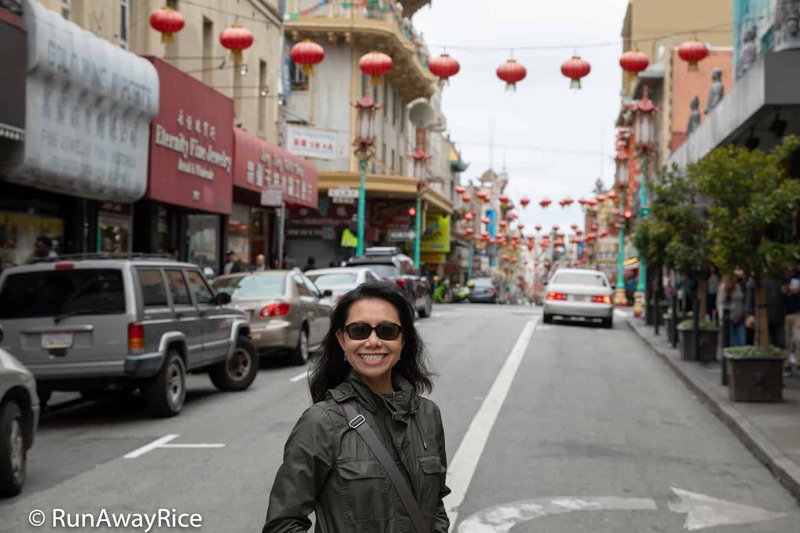 Chinatown, San Francisco – Sea cucumbers are used in soups and stir fry dishes and considered a delicacy. 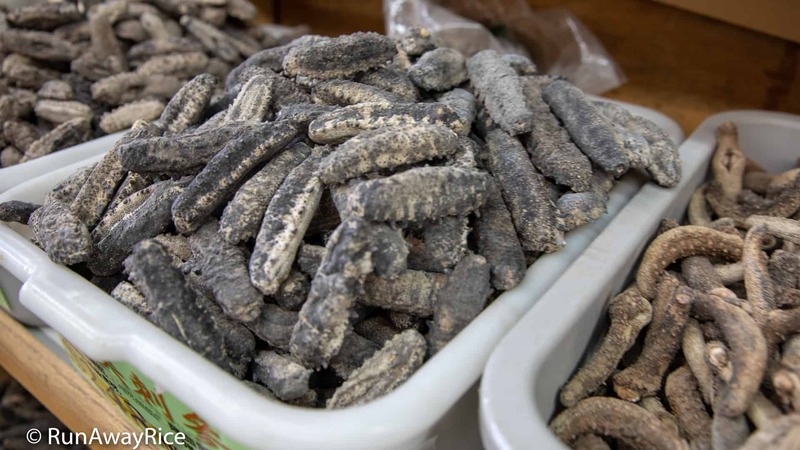 In traditional Chinese medicine, sea cucumbers are used to treat fatigue, impotence, and joint pain. If you’re looking for souvenirs, home furnishings or jewelry, you won’t leave empty-handed. Chinatown has many shops selling inexpensive trinkets to pricey one-of-a-kind items. 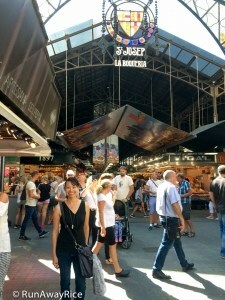 Unfortunately, I spent a little too much time at the food markets and eateries and didn’t save enough time for the souvenir shopping. 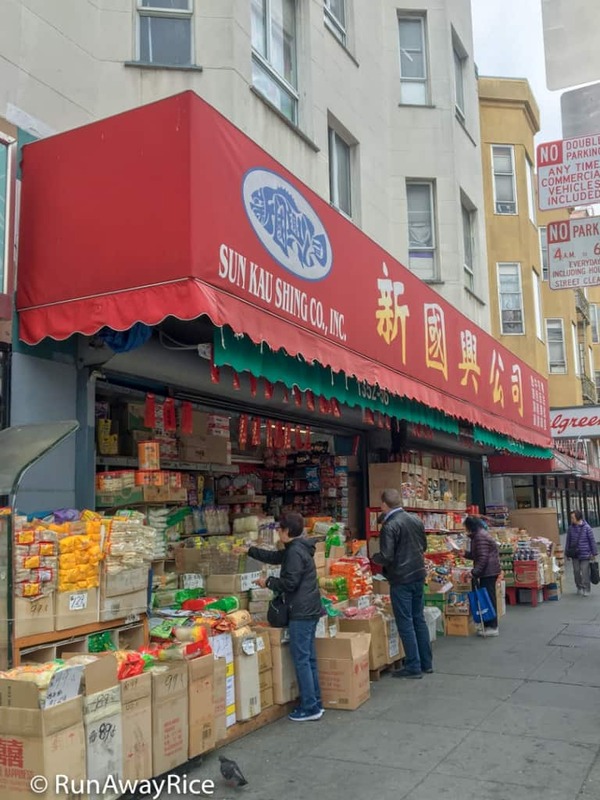 Toward the south end (near Union Square) is Chinatown’s landmark entrance, Dragon’s Gate, located on Bush Street and Grant Avenue. Three pagoda-style roofs supported by stacked concrete blocks create portals over the below street. The contrast of the green-tiled roofs with the double bronze dragons perched on top is strikingly beautiful. There’s lots of interesting history, symbolism and significance written about this iconic gate, the double dragons and the guardian lions flanking either side of the gate and the meaning of the sign hanging in the middle gate. I encourage you to read more about them online. On the corner of Grant Avenue and Commercial Street are several beautifully hand-painted murals. This Bruce Lee and Buddha mural is really captivating with its vivid colors. 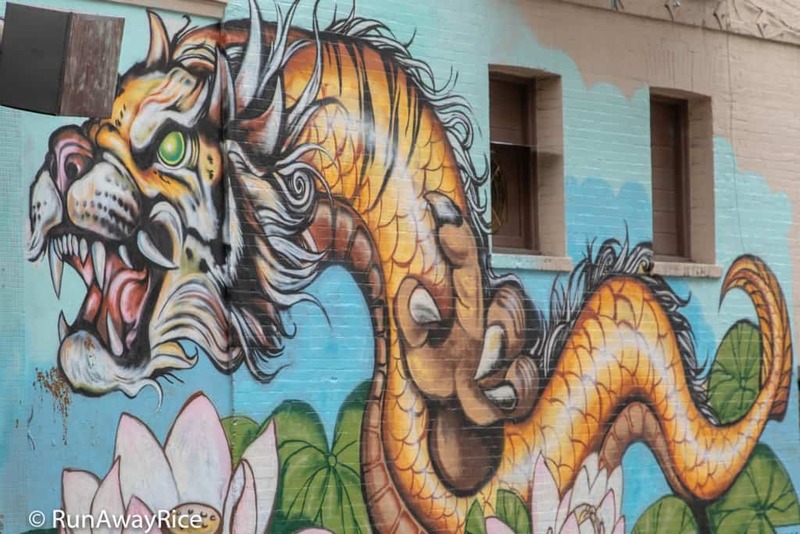 Directly opposite to the Bruce Lee wall are two more murals, one of Lunar New Year’s Dancing Dragons and a rather fierce and imposing Golden Dragon. In Chinese culture, dragons symbolize divine power, strength, wisdom and fortune and believed to bring good luck. As such dragons are cultural symbols and often depicted in art and architecture. 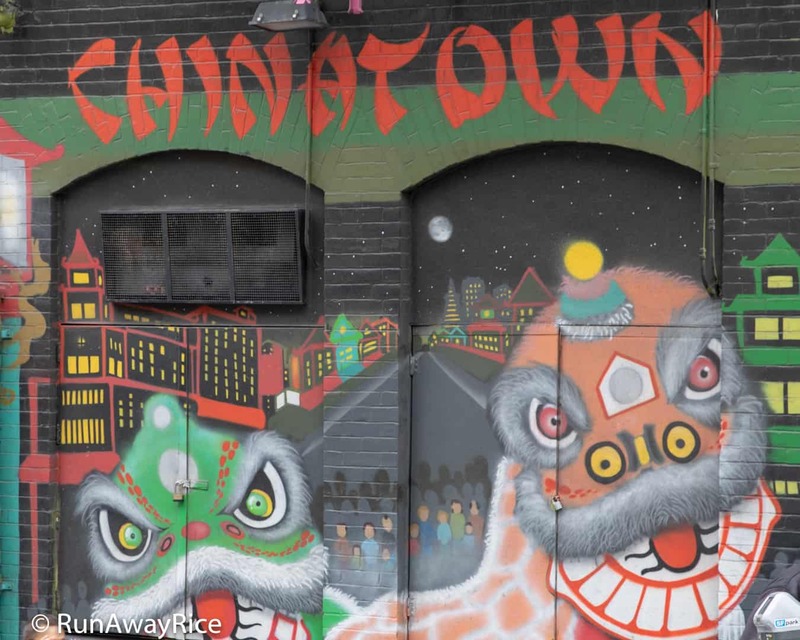 Have you been to Chinatown, San Francisco? If so, please share your experience with me. How long did you stay? Where did you visit? 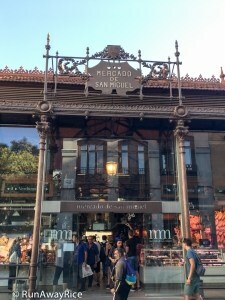 Are there awesome shops, markets restaurants or eateries you would recommend?